It’s beginning to look a lot like Christmas at The Chair! We are delighted to launch our new seasonal refreshments menu this week. 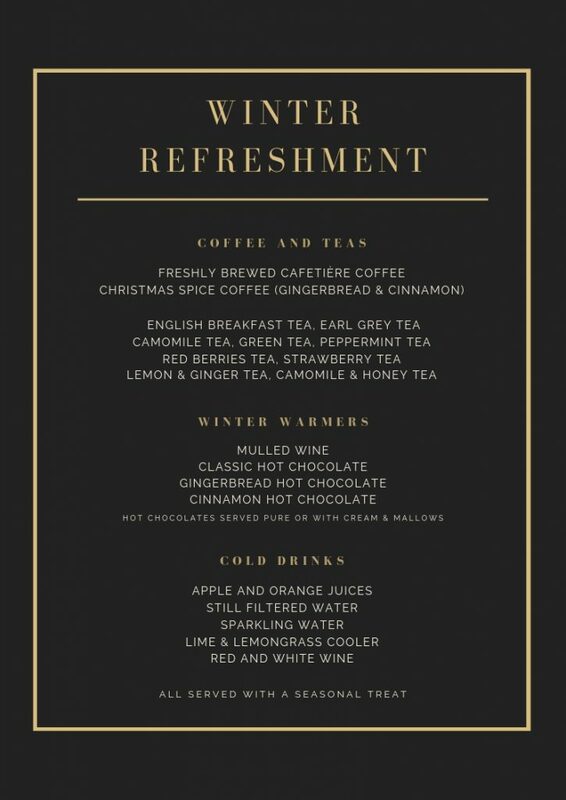 In addition to our freshly brewed coffee and teas, we will be serving winter warmers including flavoured hot chocolates with cream and mallows, delicately spiced mulled wine, coffee with a shot of Christmas, lime & lemongrass cooler, peppermint, lemon & ginger and camomile & honey teas, all served alongside a delicious festive treat. We invite you to book your Winter appointments and let us welcome you to the salon and help you relax into the spirit of the season.